You want to make a fast buck. Just go Sugar. And any other Sugar Stock - make merry till the party lasts!!!! Opus is the newstandard for plugin-free voice and video communication within the browser.It performs really well for music. Earlier it was simple avaible with plugins for browser with Firefox leading the way. Now its a totally independent audio format. Without much technical ado, in short its better than MP3. Since its a fairly new audio format in town, users are having trouble playing it. Its simple just download VLC Version 2.05. Enjoy Lossless Audio from Mr Loch Ness!! You tend to forget everything inane about 3G, just for Sonal Chauhan.She is just magical feminity in its finest form. Realy bad effort. You just can't integrate Ju- On Horror into Bollywood like this. Very shoddy indeed!!! Royal disappointment - I really thought it would be good.The worst part is that there is a story somewhere, but its lost someplace because of a pedestrian imebecile execution. But all said and done, Sonal Chauhan can save even a disaster like this just by being herself. You can just forget everything and keep watching a dream like her, even though she is surrounded by a nightmare of a movie. 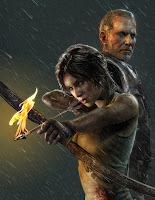 Tomb Raider 2013 - Inspired from many games!!!! 1) Taken the tomb raiding quests and made them them side-quests instead of making it the main story. This part is borrowed from Assassin's Creed. Right from opening the chest at the end and getting rewarded. Its a stroke of genius. The main story is Lara trying to survive against all odds and tomb raiding is just a pastime. Loved the concept, as Tomb Raidng in recent times was become just so tedious. 2) Scalping and hunting animals for loot, which could be used as salvage and also to gain experience. This part is taken from Red Dead Redemption. The best Western Game ever made. 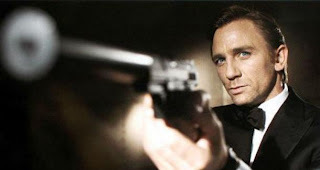 Isn't it high time James Bond took on Taliban and the Al Qaeda. We are sick and tired of him going against clinched villains and long leggy lasses. Daniel Craig gives a really hard edge to Bond and I think he can pull it off. He can try rescuing a hostage from the Al Qaeda or foil some devious plan of theirs. It would make for an awesome movie and for a change we would be treated to something different. Why does the movie industry shy away from a project like this. Are they scared? Its very important for our times that Bond takes on some terrorists, which has some sort of hard hitting reality infused in it.